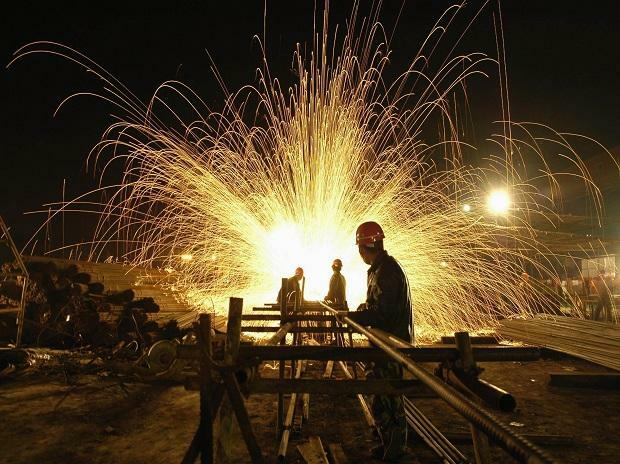 India’s steel export to the US in 2018 declined by 49 per cent to $ 372 million, while that of aluminum increased by 58 per cent to $ 221 million, the independent Congressional Research Service (CRS) said in its latest report. In 2018, the US imports of steel and aluminum products totalled $ 29.5 billion and $ 17.6 billion respectively, the report said adding that over the past decade steel imports have fluctuated significantly by value and quantity, while imports of aluminum have generally increased. The largest declines in US steel imports, by value, were from South Korea (-$ 430 million, -15 per cent), Turkey (-$ 413 million, -35 per cent) and India (-$ 372 million, -49 per cent) with significant increases from the EU (+$ 567 million, +22per cent), Mexico (+$ 508 million, +20 per cent) and Canada (+$ 404 million, +19 per cent),” the report said. “The largest declines in aluminum imports were from China (-$ 729 million, -40 per cent), Russia (-$ 676 million, -42 per cent), and Canada (-$ 294 million, -four per cent) with major increases from the EU (+$ 395 million, nine per cent), India (+$ 221 million, 58 per cent) and Oman ($ 186 million, +200 per cent),” the report added. The countries with permanent exclusions from the tariffs (all except Australia are instead subject to quotas) accounted for 18.4 per cent of US steel imports in 2018 and 4.4 per cent of US aluminum imports. These actions have raised a number of policy issues and some members of Congress have introduced legislation to revise various Section 232 authorities. Global overcapacity in steel and aluminum production, mainly driven by China, has been an ongoing concern of the US, the report said adding that the George W Bush, Obama and Trump Administrations each engaged in multilateral discussions to address global steel capacity reduction through the Organisation for Economic Co-operation and Development (OECD). “While the US has extensive anti-dumping and countervailing duties on Chinese steel imports to counter China’s unfair trade practices, steel industry and other experts argue that the magnitude of Chinese production acts to depress prices globally, it added. Effective March 23, 2018, Trump applied 25 per cent and 10 per cent tariffs, respectively, on certain steel and aluminum imports. The President temporarily exempted several countries from the tariffs pending negotiations on potential alternative measures. Permanent tariff exemptions in exchange for quantitative limitations on US imports were eventually announced covering steel for Brazil and South Korea, and both steel and aluminum for Argentina. Australia was permanently exempted from both tariffs with no quantitative restrictions. In August 2018, President Trump raised the tariff to 50 per cent on steel imports from Turkey. The proposed US-Mexico-Canada Agreement (USMCA) would not resolve or address the Section 232 tariffs on imported steel and aluminum from Canada and Mexico, CRS said in the report.